The Tile Leveling System improve tile installation speed and reduce installer fatigue/stress. Virtually lippage free, flat surface drastically. Reduce the need for grinding and polishing. Prevent tiles from moving while curing. Re-usable wedges. save your money. The New Innovative tile Leveling system helps DIY and Professional tile layers increase the efficiency of laying tiles and obtain a perfect, lippage-free finish. Improve tile installation speed and reduce installer fatigue/stress. Reduce the need for grinding and polishing. Prevent tiles from moving while curing. Application Great tools for floor/wall setting.The system ensures flatness between tiles avoiding inequalities. Reusable The Tile Leveling System are reusable, it was easy enough to fix or remove with Special wrench. Advantages Improve tile installation speed and reduce installer fatigue/stress. Virtually lippage free, flat surface drastically. Reduce the need for grinding and polishing. Prevent tiles from moving while curing. Re-usable wedges. Features Keep the tile balance on the same horizontal position.Prevents tiles from moving while curing. 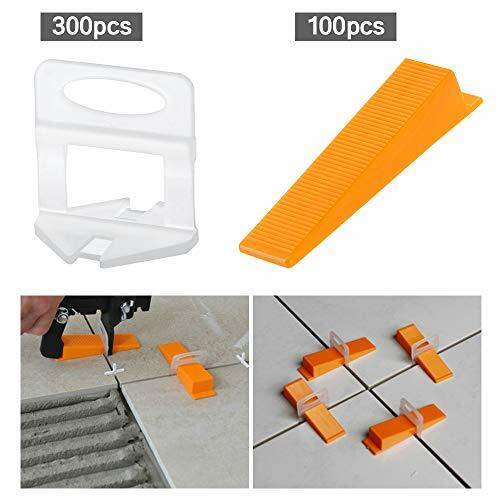 APPLICABLE SIZE - This wall & floor tile leveling system is suitable for tile gap between 2mm-6mm. 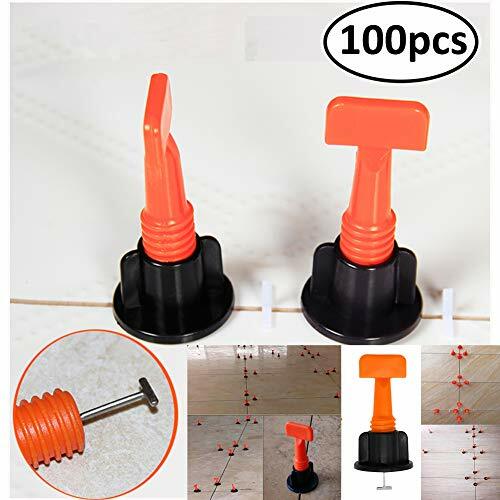 EXQUITE CRAFTSMANSHIP - These tile floor leveling spacers are reusable, durable, wear-resistant and perfect for DIY operations. MULTI-FUNCTIONAL - This tile alignment system is great for both floor leveling and wall leveling, allowing for flatness between tiles preventing inequalities and avoiding movements during the mortar setting. EASY TO USE - These floor tile leveler tools are crafted to be easily installed with drastically flat surface, reducing the need for grinding and polishing and keeping tiles from moving while curing. WARRANTY - We offer 360-Day Money-Back Service for any quality issues. Any dissatisfaction with the purchase within that period will be responded with a refund or a replacement with no questions asked. Brand: Tanek | Manufacturer: Shenzhen iPeach Technology Co.,Ltd. -Paving the first tile, leave more than 1.5mm (use with cross spacer). Close to the tiles. -Insert T-shaped needle along the gap in the tile. 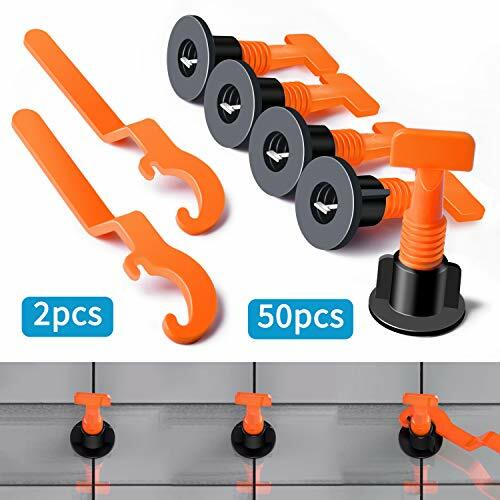 -Adjust the caps with your hand/special wrench until the two tiles are on the same level. -About 4-5 hours after leveling, before cement/adhesive is completely dry, rotate caps in the reverse direction and remove the T-needles. 3.The T-needles should be removed 4-5 hours after installed and before the cement/adhesive is completely solidified. However, depending on the climate and environmental conditions, the drying time will be different. The user can properly grasp the dismantling time according to the actual situation or carefully refer to the cement/adhesive instruction manual. 1 When the T-needle is stuck in the bottom of the two tiles, shake it slightly from side to side to make some room for easier removal and reuse. 2 When laying the tiles with length more than 80CM (31.5 inches), the distance between two T-needles shall be kept less than 60CM (23 inches), or add one more T-needle in this side. 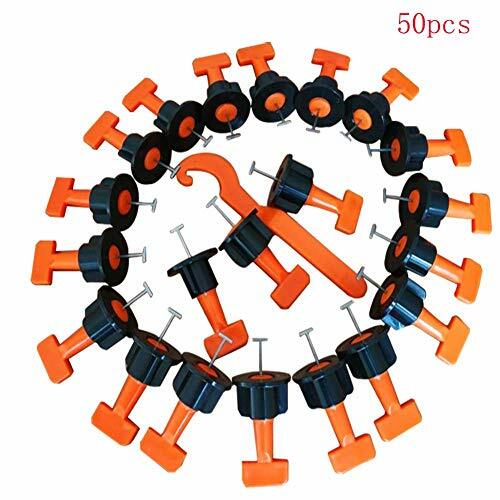 HARDNESS: The plastic part of the Tile Leveler is made of POM (polyacetal POM) which features hardness in extreme extent as compared with other product's using PP materials. This effectively avoids deformation and fracture of the product. 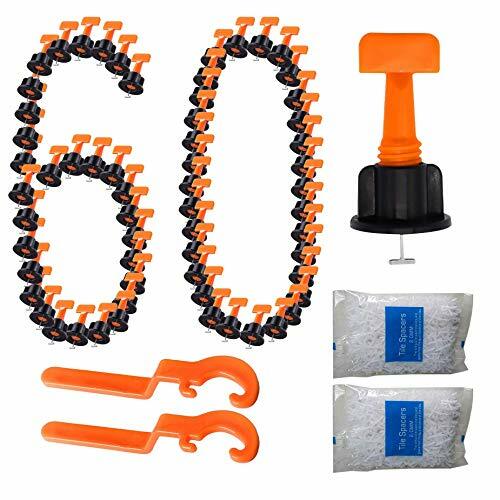 Kit Includes: 100 Reusable Leveling Wedges - 100 Leveling Spacer Clips - 1 Installation Floor Pliers. 1/16" spacing between tile. Accurate tile setting requires perfect leveling of the tiles. Often it is hard to properly set ungauged and thin tiles as well as larger format thicker tiles because of uneven floor foundations. As a result, tiles that seem perfectly level during the installation, after the thinset or adhesive cures, they often show a variance in height and can com promise the aesthetics. This can be avoided, thanks to the new Raimondi Leveling Spacers, which will preserve the perfect leveling of the tiles, and will also speed up the installation. As an end result, you can quickly achieve a smooth level surface using the new R-L-S system. Minimum required joint:3/32". Tile thickness: minimum 1/8", maximum 1/2". Both the setting and removal of the leveling spacers are quick and easy. Why do you select LAMPTOP? These Tile Leveling System-great tools for floor/wall setting.The system ensures flatness between tiles avoiding inequalities. 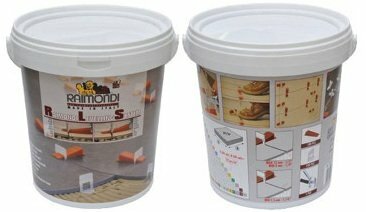 Suitable for 3mm to 25mm thickness of the tile, suitable for tile gap 2mm. Improve tile installation speed and reduce installer fatigue/stress. Virtually lippage free, flat surface drastically. Reduce the need for grinding and polishing. Prevent tiles from moving while curing. Re-usable wedges. save your money. 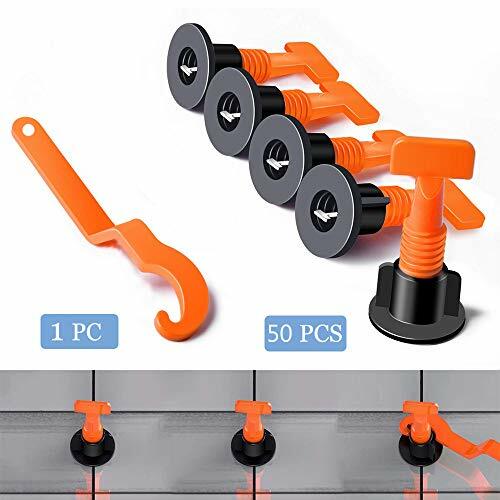 Just buy one Storystore Tile leveling system, it can satisfy your request.  Efficient & Beautiful The New Innovative tile Leveling system helps DIY and Professional tile layers increase the efficiency of laying tiles and obtain a perfect, lippage-free finish. Storystore GUARANTEE If you are not 100% satisfied with our tools, we offer money back guarantee. Spin Doctor Lippage Control System. The Spin Doctor Tile Leveling System utilizes three easy to use components: a Rotating Cap, Threaded Spacer Post, and Anti-Friction Shield (optional). The Spin Doctor also two separate spacer post sizes, 1/16 and 1/8 . The Spin Doctor Tile Leveling System is your quick and affordable solution to dealing with large format tiles. As ceramic tiles become larger and larger the ability to install them lippage free is a common problem. Russo Spin Doctor Tile leveling system features a patented free-spin design that allows the cap to spin down the spacer screw with minimal effort. This allows installers to tighten the cap with only one hand, which is especially useful for installing large format tile. When installation is finished simply kick off the caps to remove. The caps and baseplates are sold separately, the caps are reusable for multiple jobs. Free-spin design allows cap to spin down the spacer screw with minimal effort. Spaces, levels, and aligns all in one package. Easily used by first time installers and seasoned pros alike. Especially useful for installing large format tile. 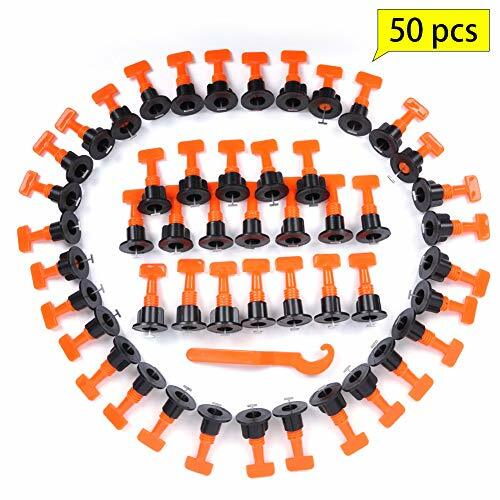 Peygran Tile Leveling System SUPER KIT 1/8' (3MM) PLIERS/TOOL+400 CLIPS+200 WEDGES. Lippage free tile installation for PRO and DIY. 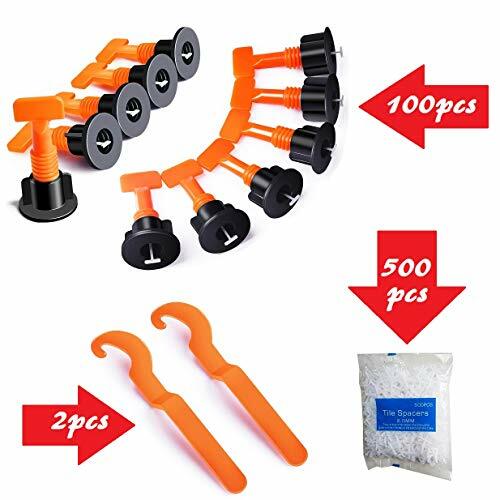 Peygran Tile Leveling System SUPER Kit consists of: - 400 Clips/Spacers, - 200 Wedges, - Adjustable Pliers/Tool. and a heavy duty bucket. The clips (white pieces) have build in spacers allowing for 1/8" (3mm) grout lines. Wedges are reusable and they have round edges to not damage tiles.Special design of saw shaped teeth makes adjustments easy. The main characteristic of the pliers/tool is its scale bar for the tile thickness (patented system). The scale bar allows to adjust the tool to the proper pressure easily, quickly and effectively. Superior quality, European product for lippage free tile and stone installation for Professionals and DIYs. Peygran Leveling System is the most innovative, fast and 100% effective tool allowing to obtain a perfect, lippage-free finish. Peygran levelling clip and wedge system ensures flatness between tiles avoiding movements during the mortar setting. This system helps to reduce the tile installation, minimizes the effort and maximizes installers productivity allowing to achieve a perfect flat, lippage free finish. 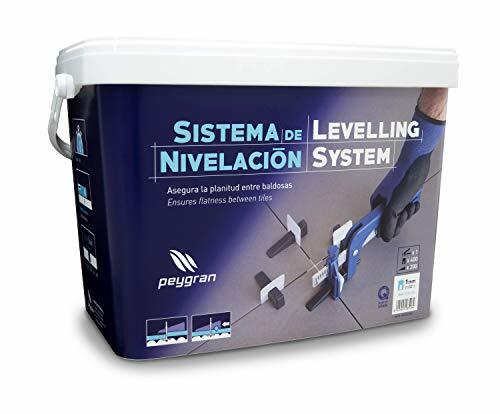 Peygran Leveling System - "Quality Requires Innovation"
With Peygran Leveling System tile installation is always easier, more accurate and precise, frustration-free and with outstanding results. 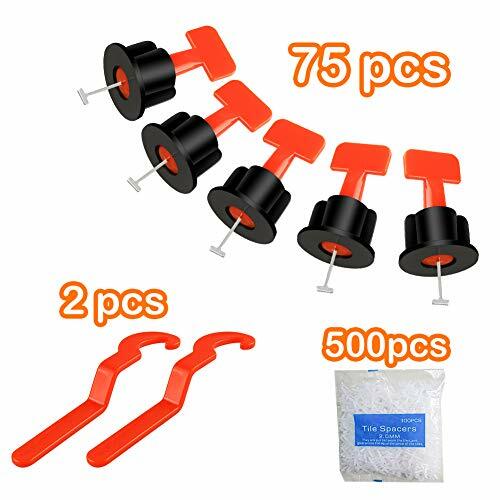 Peygran Tile Leveling System SUPER KIT 1/16" (2MM): 400 Clips+200 Wedges + Pliers. Lippage free tile and stone installation for PRO and DIY. 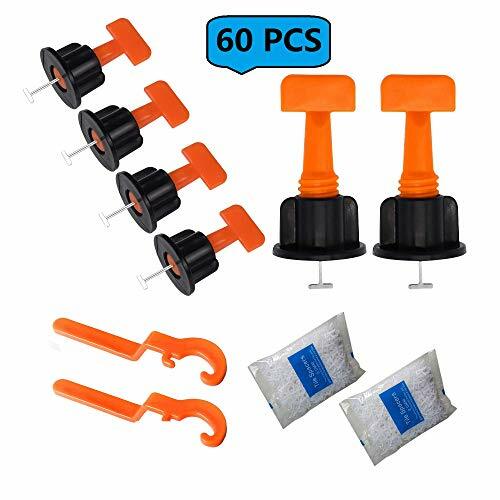 Peygran Tile Leveling System PRO SUPER Kit consists of: - 400 Clips/Spacers, - 200 Wedges, - Adjustable Pliers/Tool. and a heavy duty bucket. The clips have build in spacers allowing for 1/16" (2mm) grout lines. Wedges are reusable and they have round edges to not damage tiles.Special design of saw shaped teeth makes adjustments easy. The main characteristic of the pliers/tool is its scale bar for the tile thickness (patented system). The scale bar allows to adjust the tool to the proper pressure easily, quickly and effectively. Superior quality, European product for lippage free tile and stone installation for Professionals and DIYs. Peygran Leveling System is the most innovative, fast and 100% effective tool allowing to obtain a perfect, lippage-free finish. 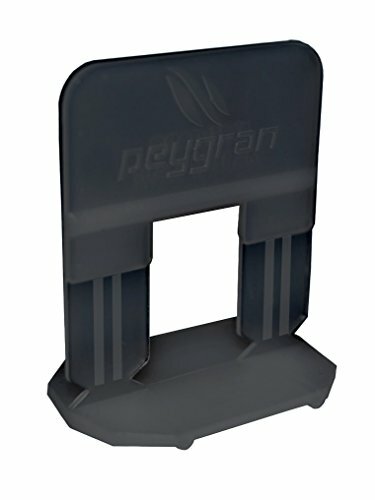 Peygran levelling clip and wedge system ensures flatness between tiles avoiding movements during the mortar setting. This system helps to reduce the tile installation, minimises the effort and maximises installers productivity allowing to achieve a perfect flat, lippage free finish. 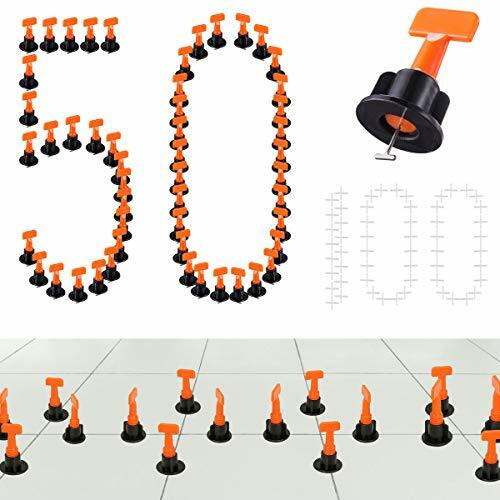 "Quality Requires Innovation"
Peygran Tile Leveling System 1/16" (2MM): 300 Clips. Lippage free tile and stone installation for PRO and DIY. The most precise and reliable product on the market. 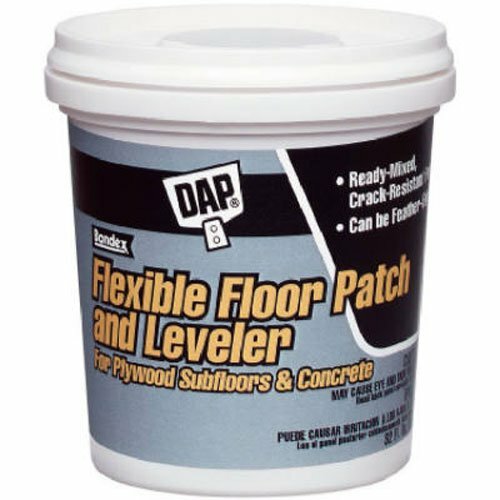 QT, ready to use floor leveler, latex based product used to fill cracks, fastener, or knot holes & level low areas in plywood subfloors or concrete surfaces, the floor patch & leveler will remain flexible, allowing plywood subfloor to flex without cracking through filled in areas, ideal for filling & leveling surfaces prior to the installation of carpeting, vinyl floor tile or sheeting, as well as ceramic or mosaic floor tile. 1. lay the first piece of brick, seam 2mm or above., and close to second bricks. 2. Insert the T-pin along the crack, then rotate it 90 degrees, clamp the T-pin at the bottom of the two bricks and tighten the adjusting cover so that the two bricks are in the same level. 3. Before the cement or tile glue has completely dried up (usually no more than 6 hours), tighten the adjusting cover in the opposite direction, then rotate the T-pin 90 degrees so that the T-pin turns to a zigzag parallel to the tile, and remove the leveler. 4. Clean and dry storage for reuse. Great Tool for Tile Installation: The tile Levelers are great tools for floor and wall tile setup. The leveling system ensures the complete flatness between tiles. High Quality and Reusable: These tile levellers are made of high quality plastic and stainless steel, which are very durable. And they are reusable, very easy to fix or remove with the included special wrench. Efficient and Save Your Money: The new designed tile Leveling system can help improve tile installation speed, reduce the need for grinding and polishing, and prevent tiles from moving while curing. Save you a lot of money. 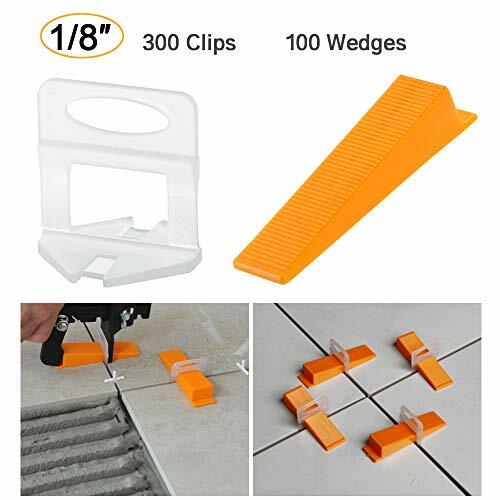 Easy to Use: The tile leveler spacers are very easy to setup for both DIY-er and professional tile layers, increase the efficiency of laying tiles and obtain a perfect, lippage-free finish. 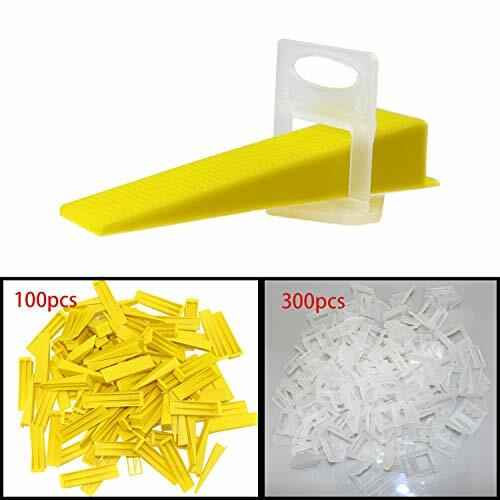 Wide Applicable Range: The spacers are suitable for tiles with 3mm to 20mm thickness , suitable for tile gap 2mm. Tile Leveling System-great tools for floor/wall setting.The system ensures flatness between tiles avoiding movements during the mortar setting. Perfect for Laying Larger Tiles. Suitable for tile gap >3mm (1/8" spacing between tile).The tile leveling system is suitable for tiles thickness between 7 mm and 14 mm. 1. Lay the first piece of tile, make sure the first tile is level. 2.Lay the second tile, Insert cross tile spacers between the tiles to make the gap. 3.Insert the T-pin along the gap, rotate it 360 degrees to clean cement under tile (in case of T-pin consolidated inside), finish it in 90 degrees to the gap. 5.Remove the levelers 3-5 hours later, remove them before cement dried up. Unclasp the leveler and rotate the T-pin 90 degrees, pull it out. 6.Clean and storage the levelers and cross tile spacers for reuse. Note: 1. The levelers must be removed before cement dried up, in 3-5 hours. 2.Please rotate the leveler more than 180 degrees to kick out the cement/get enough room for T-pin in installation. This will make it easier to remove. Updated Tile Leveling System - enhanced the strength of Stainless steel T-pin, reducing twist or break problem. The T-pin of new version is 1.4mm, suitable to make 1/16, 1/8, 3/16, 1/4...gap. Practical Tile Lippage System - super easy to apply, for both PRO and DIY, gives you a perfect lippage-free finish. Effective and Time Saver - less effort to get amazing finishing, effective for floor, wall or ceiling.
. Paving tiles brick joints maintained aperture between 2mm above first, affix the 2nd ceramic tile again.
. Adjust the distance and insert the T-shaped needle along the crack, then rotate it 90 degrees.
. Clamp the T-shaped needle to the bottom of the brick, adjust the nut and tighten so that the brick is parallel.
. Before the cement or tile adhesive is completely dry (usually no more than 6 hours), loosen the nut in the opposite direction and rotate T-shaped 90 degrees to draw out. 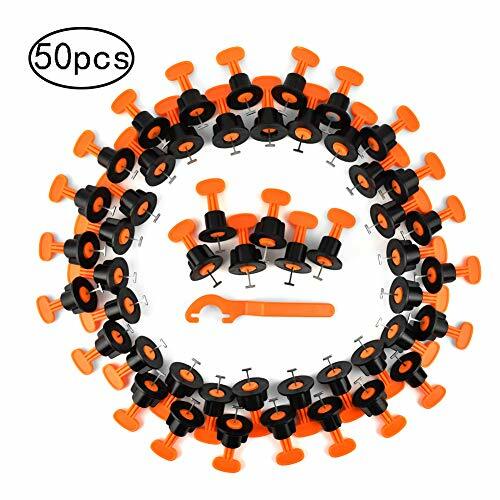 Moving the T-shaped needle back and forth before tightening up is highly suggested so that the tile leveling system can be more easily taken out. Applicable Size Reusable, Durable, Wear-resistant Spacers are suitable for 3mm-25mm thickness and tile gap 2mm-6mm of the tile. The Tile Leveling system ensures flatness between tiles avoiding inequalities and movements during the mortar setting. Innovative The new innovative tile leveling system not only improves efficiency in tile laying process, but also gives you a flawless tile surface. You can have an unexpectedperfect process after you own it. 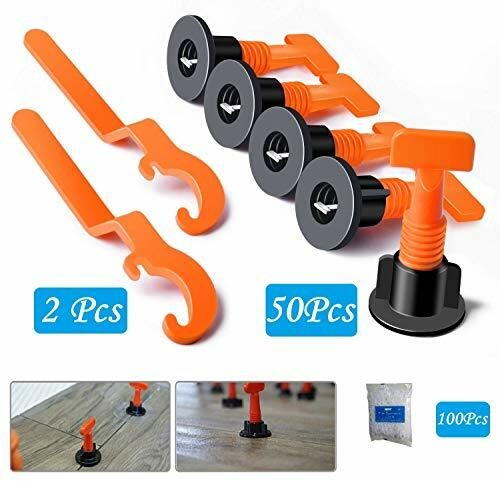 Efficient These Tile Leveling System tools are crafted to be easily installed, Reduce the need for grinding and polishing, improve tile installation speed and reduce installer fatigue/stress. Reusable The Tile Leveling System are reusable, it was easy enough to fix or remove with Special wrench. Re-usable wedges. save your money. Guaranteed : If you've had any issue with tiles leveler spacers, please feel free to reach out to us. We will respond within 12 hours and sort things out for you. Guaranteed. This color is orange , it is not yellow, thank you. Tiles Leveler Spacers Suitable for 3mm to 25mm thickness of the tile, suitable for tile gap 2mm. it Keep the tile balance on the same horizontal position.Prevents tiles from moving while curing. 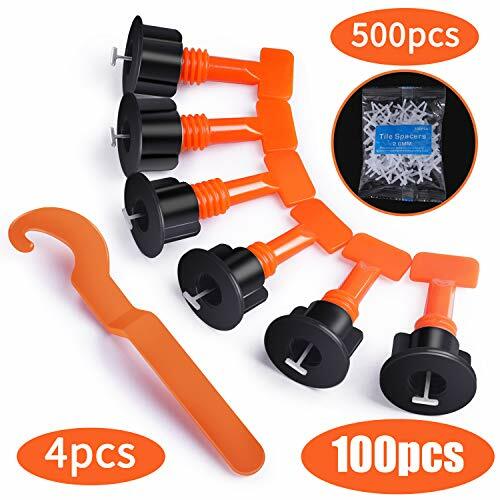 Missalis Premium Tile Leveling System Kit with 50pcs Tile Leveler Spacers, 1 Special Wrenches, Reusable Tile Installation Tool Kit for Construction, Like Building Walls & Floors. 2.Easy to use for DIY operation. 3.Keep the tile balance on the same horizontal position. 6.Virtually lippage free, flat surface drastically. 7.Reduces the need for grinding and polishing. 8.Prevents tiles from moving while curing.